Hello lovelies!! So as most of you should know by now, my husband and I have taken 6 months off to go travelling around the USA – super excited! We leave in 3 days! 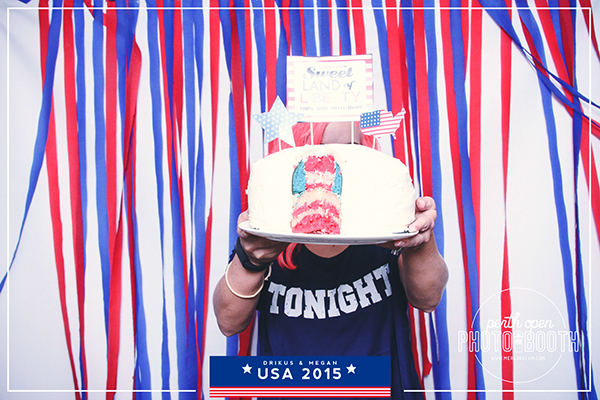 So over the weekend we had a little USA themed celebration (will post those pics a bit later). 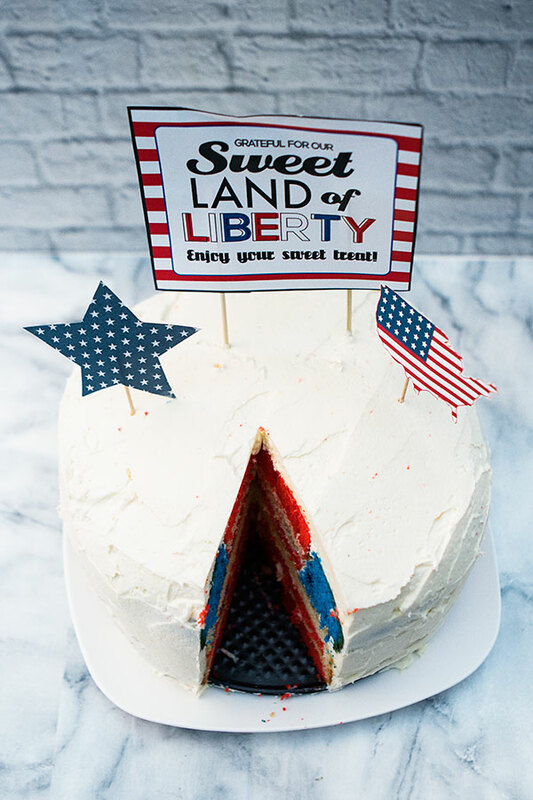 Enter the USA layered Betty Crocker Cake! This wasn’t the easiest cake I’ve ever made, actually, at one point I thought it was going to be a total flop. Ingredients & steps are below! 4. 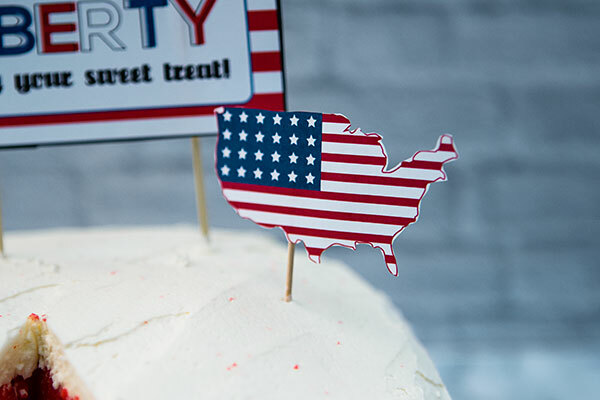 Bake both the red and white cake for 50 – 55 minutes or until skewer inserted in centre comes out clean. cool for 10 minutes in pan, and then gently remove from pan onto a wire rack to cool completely. 7. Again, bake both the red and white cake for 50 – 55 minutes or until skewer inserted in centre comes out clean. cool for 10 minutes in pan, and then gently remove from pan onto a wire rack to cool completely. 9. Using a round bowl, cut out the centre of the blue cake so that you’ve got a blue ring. 10. Using the same bowl, cut a round circle out of the smaller red and white cakes – these will be placed into the centre of the blue cake. 11. To make the icing, beat the butter in a bowl until pale, gradually adding the icing sugar mixture and milk, beating consistently until combined. 12. 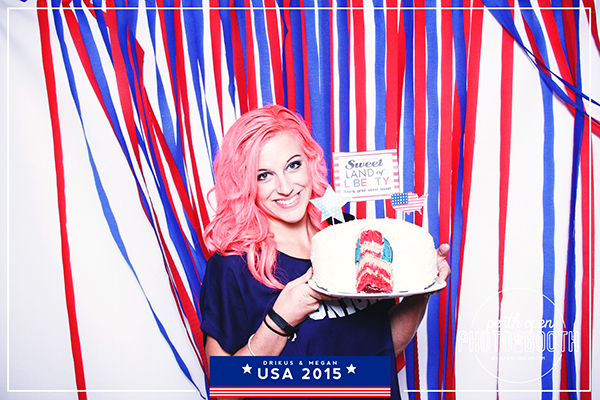 Ice the entire cake. 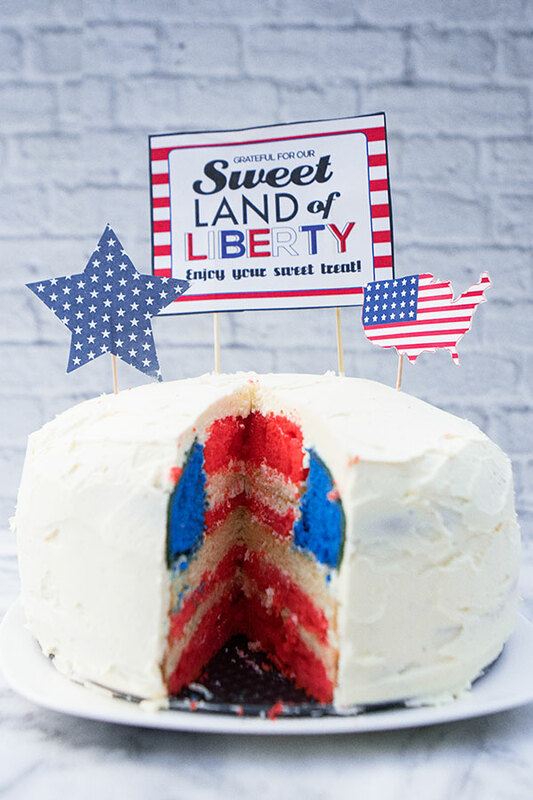 Cut out a slice before serving so that everyone can see the magic that is the US flag inside.